“What does it do?” asked Neil, as he inspected the arrangement of tubing and whirring pumps. “It measures radioactivity that’s escaped from the seafloor” I replied. Having just heard myself, I clarified “Natural radioactivity. It’s found throughout the ocean, especially near the seafloor where much of it comes from”. MAPs being prepared for their first deployment. Photo credit: Torben Stichel. I was glad Neil asked why, I could answer that, but how, is still pretty new to me. I just had my crash course in how to measure the activity of Radium when our ship was in Southampton dockyard. The expert, Amber Annett, walked me through her method before she disembarked, and passed me the baton for this DY030 expedition. I want to learn how to measure Radium because I have a new instrument that will sample it from just above the seafloor. This bit of the ocean is a real mystery for us ocean chemists. Routinely the equipment we depend on cannot collect water samples just above the seabed for risk of smashing it as it dangles from a long wire. This means we struggle to measure the changes in chemical properties in this zone – we struggle to map the chemistry of ocean bottom waters. My idea is to design new sampling equipment that can rest directly on the seabed, and DY030 has offered me the chance to try the newly built Miniature Autonomous Pumps (MAPs) for the first time. I have only made the first step; test MAPs ability to filter particles and collect the scarce quantities of radioactive elements that pass been the seabed and the overlying ocean, but the results are promising. MAPs have been funded through a NERC Fellowship at University of Oxford, and designed and built in collaboration with the Ocean Engineering and Technology Group at NOC Southampton. For this cruise, MAP missions are on a borrowed ‘Lander’ from NOC Liverpool. 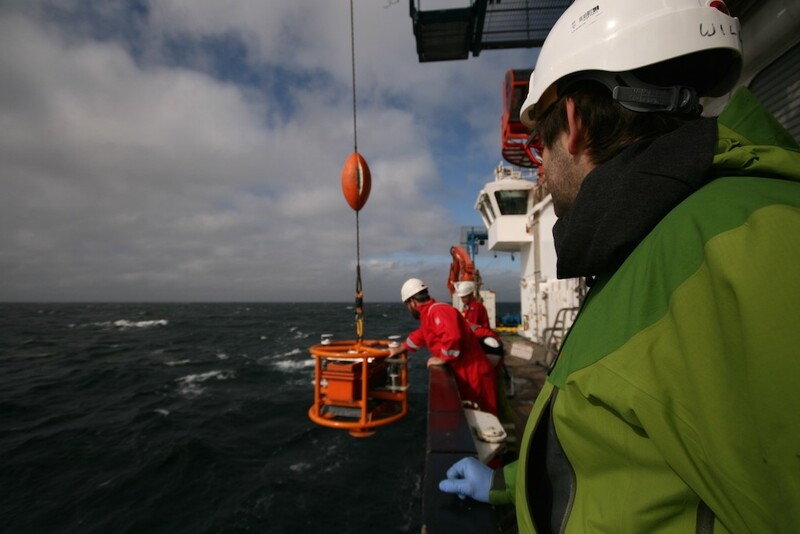 Yesterday the bright orange Lander held two MAPs a metre above the seabed, where they automatically pumped seawater, filtered particles, scavenged elements, and monitored and recorded their performance. 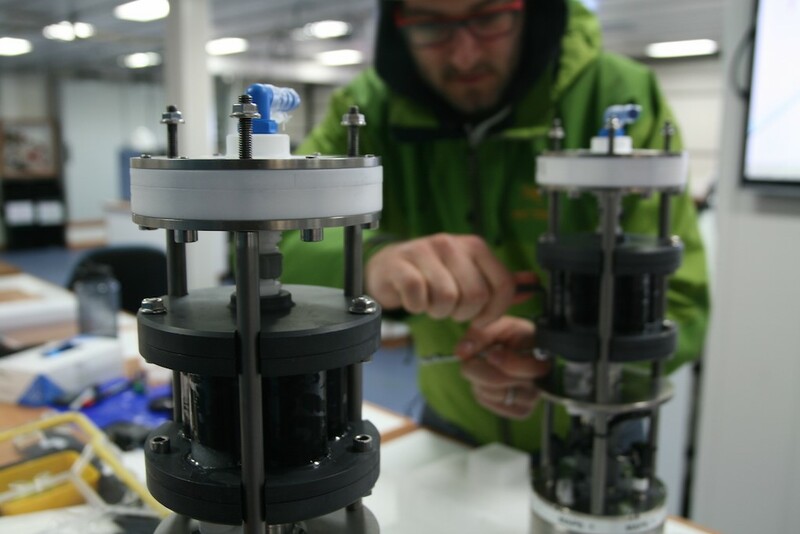 Samples recovered on deck have been divided for various analyses –nutrients, and ‘trace’ concentration elements including Iron and Radium - that will feed in to the programmatic goals of UK SSB. Will Homoky is a NERC Fellow and Anniversary Ambassador at University of Oxford. For more information follow Will on twitter or visit his home page.